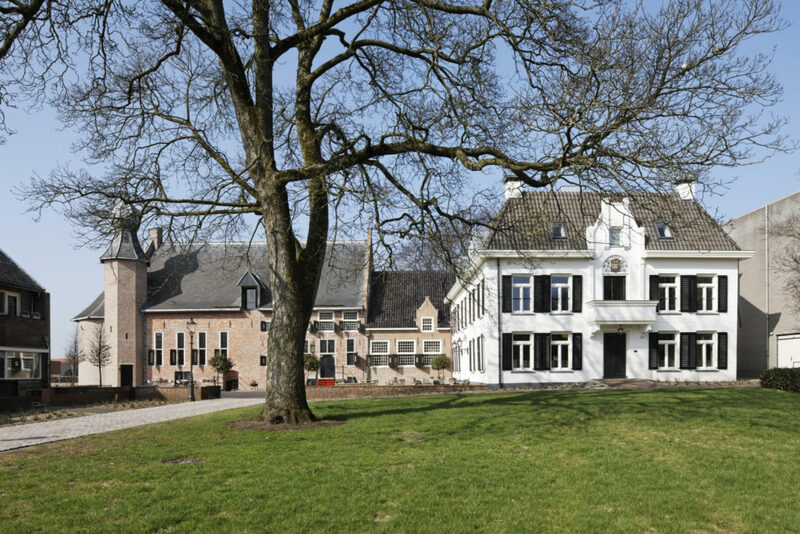 The 11th century castle and adjoining government in Coevorden have been redesigned. 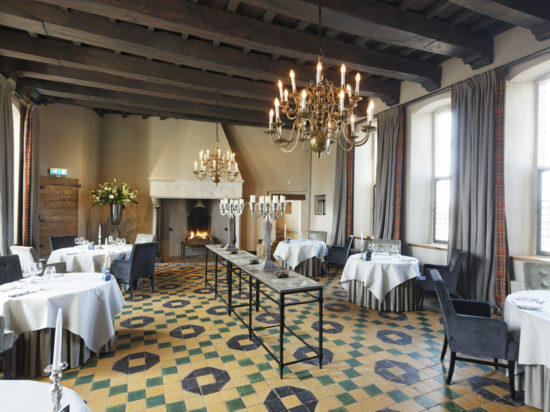 The historic buildings have been converted into a Château hotel designed by B+O Architecten. The castle has undergone several metamorphoses in the past. The penultimate adaptation dates from 1972. During this adaptation, the outer walls were painted in a salmon-pink colour. 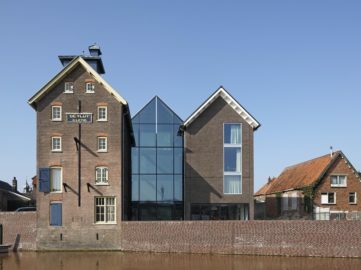 Under the guidance of B+O Architecten, this colour layer was removed carefully, so the authentic outer wall became visible again. 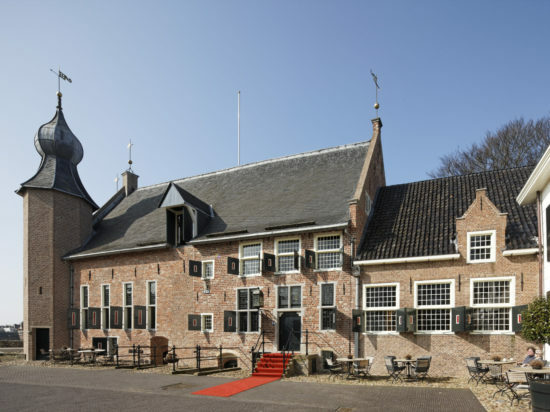 Until the renovation, both buildings served as town hall and wedding location. 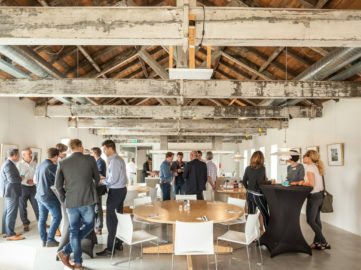 Starting in the ’70s, many non-authentic accents have been added, mainly to the government, such as thick insulation material with spachtelputz and green steel frames. 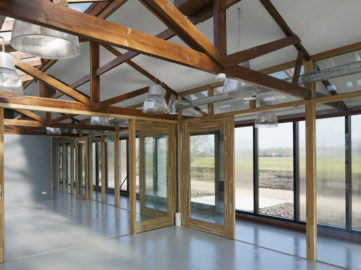 The steel has been replaced by wood and the size of the windows has been adjusted to the original classic ratio. As a result, the government is once again symmetrical and balanced. 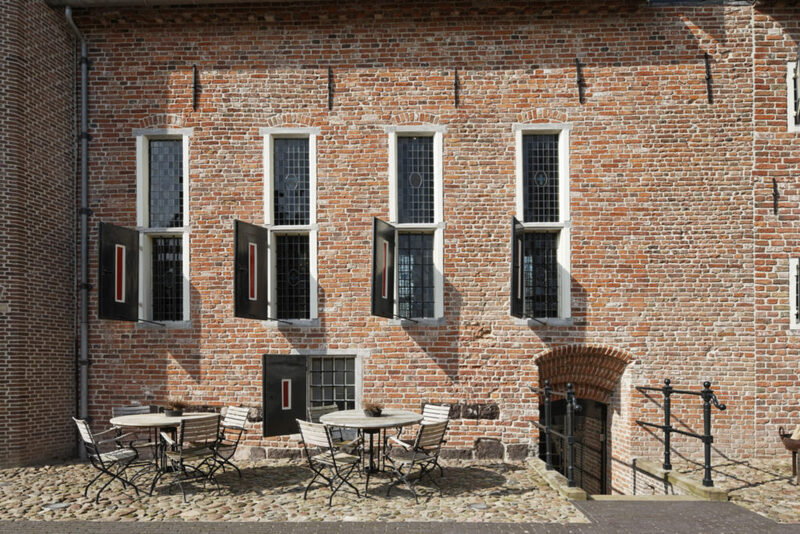 The original wooden shutters have been placed in front of the windows. 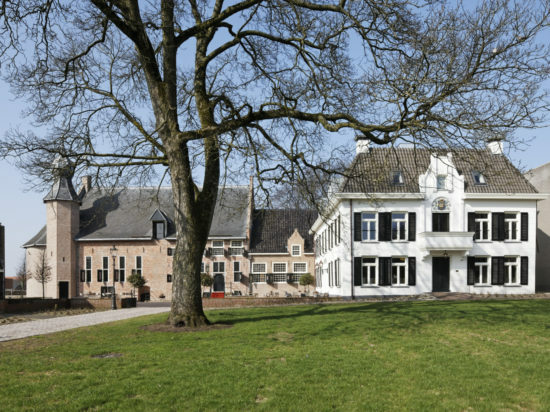 The kitchens of the company can be found in the government, the white building next to the castle. 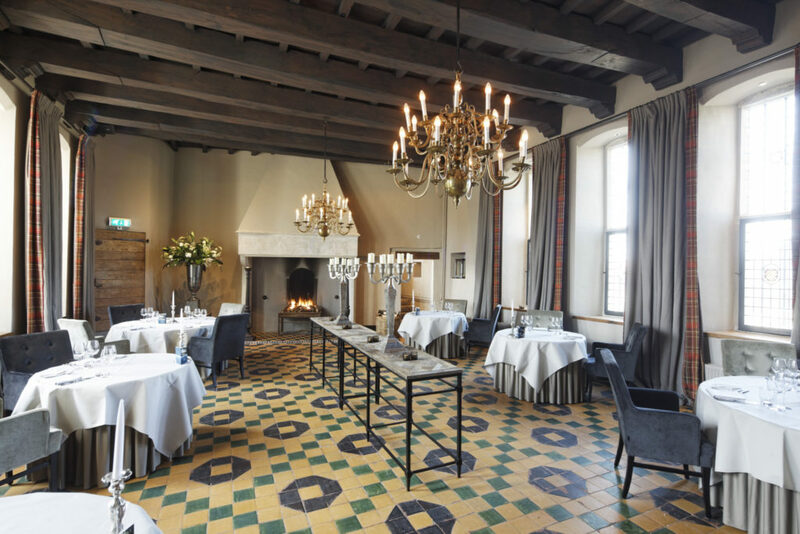 The renewed castle has brought some character back to the historic city centre and has put Coevorden on the map gastronomically. 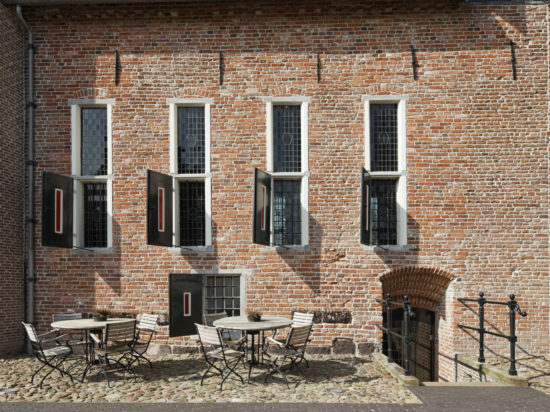 architect: Arnoud Olie / client: Kasteel Coevorden / contractor: Bouwbedrijf H. Poortman & Zn. B.V.